Here I answer some frequently asked questions, and (below) give session details. Q: What types of sessions do you offer? 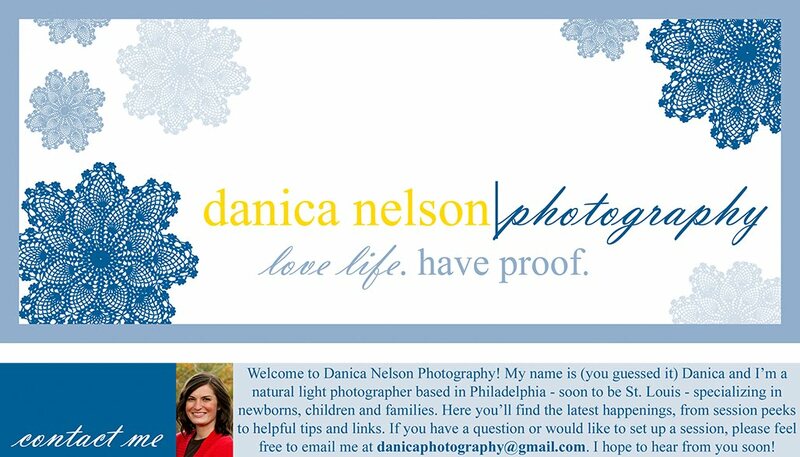 A: Currently, I offer maternity, newborn/baby, children, family, senior and engagement sessions. A: Classic sessions can take place anywhere you like - I can come to your home, or we can meet at another predetermined location. I am a natural light photographer, so if we are not outdoors, good window lighting is a must. During the winter, most sessions take place indoors. I would love to go to a favorite location of yours, or you can choose from some of my favorites as well. For travel more than 30 minutes from Upper Darby, PA, an extra travel charge may apply. Q: When do the sessions take place? A: If the session will be indoors, it will depend on the window lighting. Sessions at my home studio space take place in the afternoon if at all possible, since that is when I have the best light. If the session will be outdoors, it's best for it to take place in the evening, about an hour and a half before sunset, when the light is softer. Q: What should we wear to our session? A: I always tell mom to pick an outfit she feels beautiful in and then coordinate the other outfits around hers! Coordinating, but not matchy matchy, outfits are best for my style of photography. Mid tones are good choices, as white and black can be tricky (but not off limits - check with me). For newborns, a diaper cover or plain onesie is best (full outfits can look big or silly on newborns). For older children, a mix of simple and trendy outfits works well. Avoid cartoons or super busy patterns as they might distract from your child or date the photos. Hats, beanies, scarves and other fun accessories like bows, tutu skirts, fun leggings or silly rain boots can make the pictures unique and special. The most important thing is for you and your children to be comfortable, so if that's jeans and bare feet, then great! Q: When should I book a session? A: Since I do a limited number of sessions per month, it's a good idea to book a session 1-2 months in advance; however, as long as a date is available, it can be booked at any time. Newborn sessions are flexible, but should be set to take place within the first ten days after baby's arrival. Q: How soon will I see my pictures? A: You will typically receive a password to view your pictures online within 2-3 weeks of your session, which you can share with family and friends. A sneak peek will also go up on my website unless you have specifically asked that I do not share your session online. Your gallery will expire one year from the session date. A disc of your images is included in the session fee, so you can use that to order prints from wherever you choose, or you can buy professionally-processed prints and other products directly from the online gallery through the lab I'm affiliated with. Family members and friends can also purchase prints/products from the gallery. Picture orders from the online gallery typically arrive in 1-2 weeks. When the photos are finished, you can either pick up the disc from my house, or I can mail the disc directly to you. A: The session fee is paid at the time of the session (cash and check accepted). Prints and other products can be purchased directly from the online session gallery at any time. A: I love when other photographers share what type of equipment they use, so although my equipment isn't my dream "line up," I'm happy to share what I currently own and shoot with. I started with a Canon Digital Rebel XT and loved it; however, in February 2009 I upgraded to a Canon 40D. Virtually every picture on my website was taken with my Tamron 17-50mm f/2.8 lens. In July 09 I was able to add the Canon 85mm f/1.8 lens to my bag and I love it. Since then I've used it almost exclusively for every outdoor session. I use the Tamron 17-50mm for every indoor shot, since the 85mm is too tight for me to use indoors on my crop sensor camera. MATERNITY SESSIONS - I love to shoot expecting moms in her own home. My studio set-up also works for these sessions. Your outfit should be something you feel comfortable and beautiful in. I love bold colors and fun necklaces or other accessories, which can help to balance the picture. I shoot tasteful pictures of you and your belly (with your shirt on or your tummy slightly exposed if you'd like), and, if desired, your partner and other children with you. Maternity sessions are usually about 1 hour long. NEWBORN/BABY SESSIONS - I think newborns and many babies are best photographed in a diaper cover, or with a simple onesie. I love to capture your newborn sleeping as well as awake, so a session usually lasts at least 2 hours so that baby has time to nurse or fall asleep throughout the session. We’ll try several different poses with baby, along with several different materials and backgrounds. I really love funky hats and bright bows/accessories, so please do bring anything along that you think would add to the pictures. Also feel free to bring blankets or other props to be used in the session – the best blankets are those with an interesting texture (e.g., woven, fuzzy, etc.). Simple patterns of stripes or polka dots, or a solid color work great. I also love working with cool baskets, trunks, chests, chairs or anything vintage and different. If you have any of these things, let me know so I can plan them into the photographs. I also like to capture moms and dads with their baby, so please be prepared to be in some of the photographs. Mostly, this will be face-to-face shots with your baby, and shots of your arms or from the waist up. If possible, mom and dad should wear black short- or long-sleeved shirts for at least part of the session. CHILDREN SESSIONS - Children can be photographed in so many fun ways. I love to photograph children in their own homes where they usually feel more comfortable and I can capture them in moments that better represent them. During the spring, summer and early fall months, children sessions can take place at any favorite location however. I have a small studio-type environment in my home that I use to photograph children, and I have several backdrops that result in clean, crisp images. Children tend to photograph better in casual, comfortable clothing. Try to avoid clothing with large logos, since these can detract from the subject and date the pictures. I also love working with cool baskets, trunks, chests, chairs or anything vintage and different. If you have any of these things, let me know so I can plan them into the photographs. Children sessions taking place at my home usually last one hour, and on-location sessions usually last 1 1/2 - 2 hours, depending on the number of subjects. FAMILY SESSIONS - Outdoor family sessions are best done during the warmer months of spring, summer and early fall, when beautiful outdoor locations are available and the variety of the shots will be much more pleasing. If you would prefer to have your family captured in a more casual, photojournalistic way, a good option is a session in your own home. Feel free to bring a chair, bench (or even a couch!) to use in your outdoor session. Family sessions are typically 1 1/2 - 2 hours long, depending on the size of your family and the location. TEEN/SENIOR SESSIONS - Teens and seniors are best photographed during the warmer months of spring, summer and early fall, when beautiful outdoor locations are available. Teen and senior sessions include one outfit change and one overall location, which means we can go to several spots within the location. Teens should wear something that they feel really comfortable in. Again, I love funky hats and accessories, and bright colors. We can even incorporate the things you love (e.g., a musical instrument or sport) into your session. Teen/senior sessions are usually 1-2 hours long.